Help us spread some cheer by snapping a photo of you and your labmates celebrating the holidays and tweeting it with the tags #DeckTheLab and @Addgene. 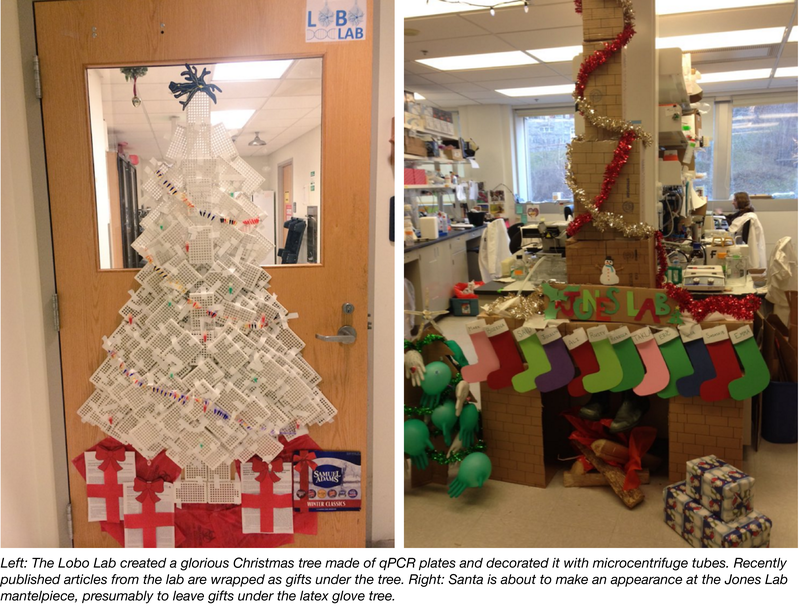 We’d love to see how you’re decorating your lab for all upcoming wintertime festivities: Hanukkah, Christmas, ugly sweaters, Flannel Fridays, Festivus— you name it, we want to see it! All photos tagged with #DeckTheLab throughout the month of December are eligible to win a hot chocolate party that will warm up the entire lab. We’ll choose 4 winning submissions and deliver the prizes at the start of the New Year. Will your lab be a lucky winner? 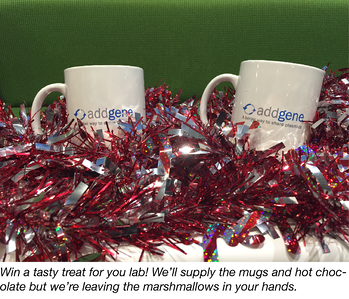 Happy holidays from all of us at Addgene! We look forward to seeing how you #DeckTheLab!